We have an outline for you to determine how much storage space you will require, that way you have a rough idea yourselves. 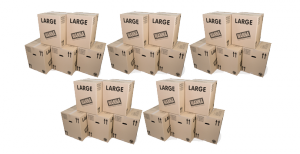 Select from the items below for an estimation on the storage unit size you require. This is a guide only, and we can be flexible. 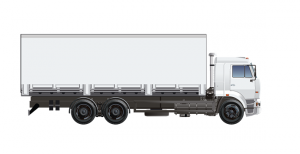 Should your needs grow or decrease, you can simply move units. 5 Large Boxes = 23 sq/ft (2.14 sq/m) approx. 25 Large Boxes = 113 sq/ft (10.50 sq/m) approx. 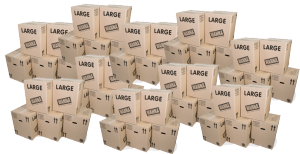 50 Large Boxes = 225 sq/ft (20.90 sq/m) approx. 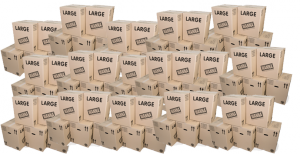 100 Large Boxes = 450 sq/ft (41.80 sq/m) approx. 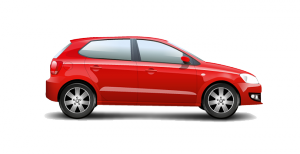 Car Boot = 6 – 20 sq/ft (0.55 – 1.86 sq/m) approx. 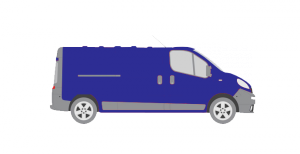 Transit Van = 35 – 45 sq/ft (3.25 – 4.18 sq/m) approx. Luton Van = 60 – 80 sq/ft (5.57 – 7.43 sq/m) approx. 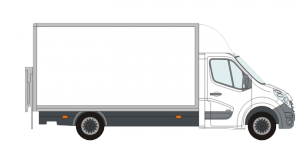 7.5 Tonne Box Van = 130-180 sq/ft (12.08 – 16.72 sq/m) approx. 1 Bedroom House = 35 – 45 sq/ft (3.25 – 5.57 sq/m) approx. 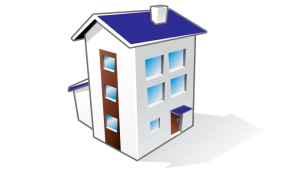 2 Bedroom House = 60 – 100 sq/ft (5.57 – 9.29 sq/m) approx. 3 Bedroom House = 90 – 160 sq/ft (8.36 – 14.86 sq/m) approx. 4 Bedroom House = 160 – 220 sq/ft (14.86 – 20.44 sq/m) approx.